Only zombies surround you. There is no cure, only you and your weapon. You need to find a way to survive in this world. You must kill them all. Unlock new weapons and cool killing bonuses during "Quests" mode: - 20 amazing locations each with its own atmosphere and cool soundtrack. - Every zombie is unique he/she can be fast as beast or slow but powerfull or even throw you poisoned energy ball. - New killing bonuses and weapons during quests. - Hordes of zombies trying to kill you. - You should kill them all. Additional Modes: "Rush" mode - Kill as many zombies as you can. Everyone counts, and you should show them all who is the boss. "Survive" mode - Stay alive as long as you can. How long can you survive against hordes of deadliest zombies. Controlls: Learn how to play during "Training". Or just select favorite control scheme and begin the zombie apocalypse. 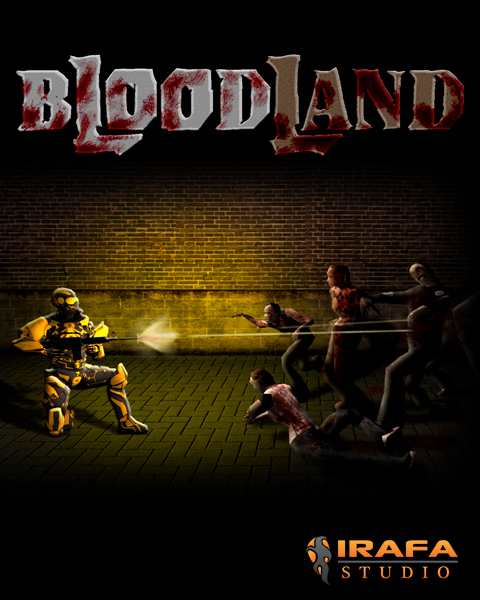 To promote BloodLand and grow its popularity (top games), use the embed code provided on your homepage, blog, forums and elsewhere you desire. Or try our widget. wow a black ops arcade rip off, i can't wait. This isn't out on PC yet is it? Airdropped into a ruined city and surrounded by a zombie horde, you will fight an endless battle against the living dead. Paranormal investigator John is after a cure for his daughter Clarisse, fighting zombies and searching for a secret nano-tech lab. We've just updated HD Wallpapers for #android Play.google.com new features and UI changes!